To be clear: I loathe all the British political parties equally. I break out in an allergic rash every time Gordon Brown appears on T.V. I can’t stand Nick Clegg, the tiny twit who would have us embrace Proportional Representation and thus make it far easier for parties such as the neo Nazi BNP to gain power. As for David Cameron…he didn’t come over brilliantly in the live debates and if anything, he’s probably just the best of a terrible bunch. One thing is for sure though, the potential calamity that awaits us is a coalition government made up of Labour and the Liberal Democrats. Yes, that’s right – the two parties who were categorically rejected by the British electorate could yet make some sort of deal and emerge as our new ‘government’. That is a nightmare scenario and one can only pray it doesn’t come to pass. As I write this, Labour heavyweights are lining up to choose a new leader, while Cameron & Clegg (I mean, come on, they even sound like some sort of comic duo) are desperately trying to thrash out some kind of deal that both can get their own parties to accept. Only one phrase comes to mind that satisfactorily sums up my present feelings about the state of affairs in Britain – and that’s a loud, passionate and plaintive ‘Oy Vey…..! 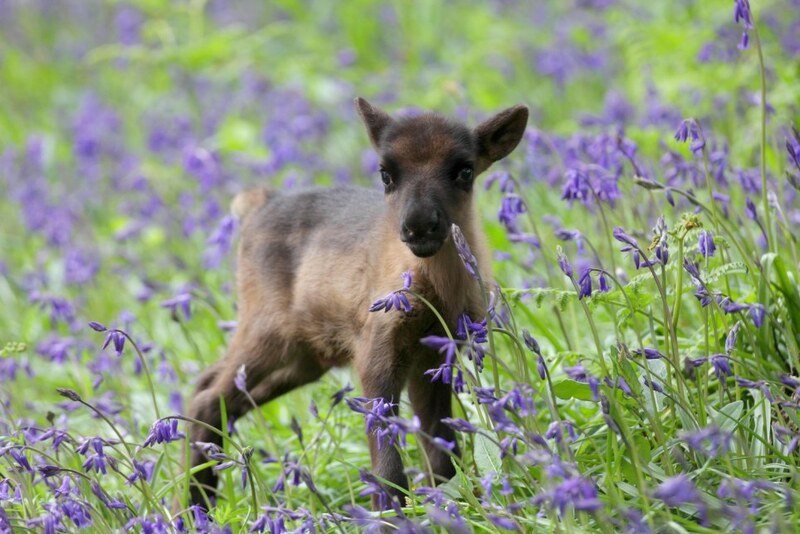 Come on, say it with me: ‘Oh, he’s so cuuuuuuuuute……..!’ I refer of course, to Blue, the new born son of proud parents Prancer and Rudolph (what else?). 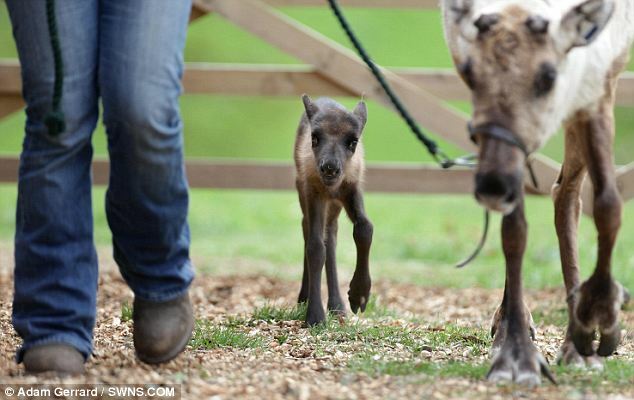 Little Blue is thought to be the first reindeer born in England for 10,000 years. 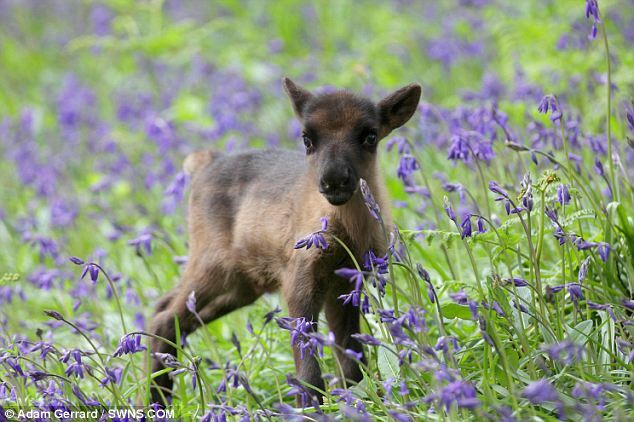 The 8lb calf was born to a small herd in a 750-acre Cornwall estate. Reindeer did exist in Britain during the last Ice Age, which was roughly 10,000 years ago. But they then headed north and vanished as the weather warmed up. Now they are only found in Scandinavia, Russia, Alaska, Canada and Greenland. 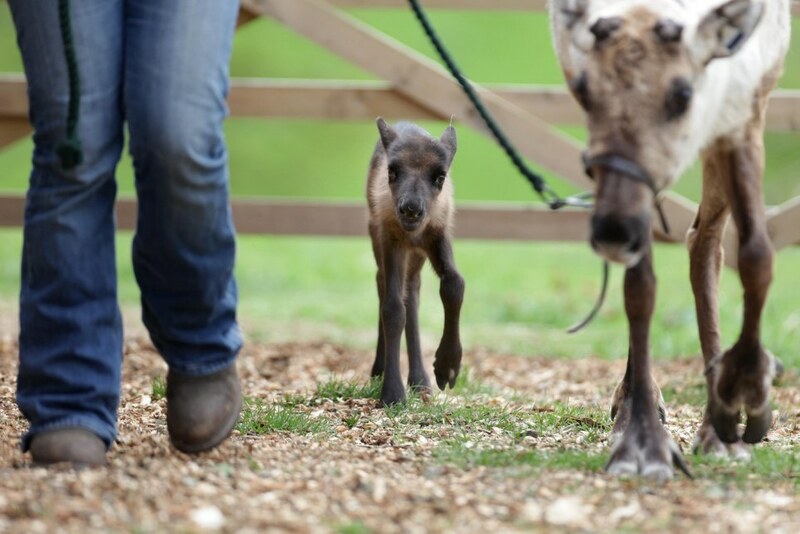 Reindeer handler Ellie Pearce said: ‘It was incredibly exciting waiting for the first birth. I arrived in one morning and there he was on the hay looking absolutely beautiful. ‘Since then he’s put on a pound a day and he’s become incredibly friendly and inquisitive. The calf, which currently stands at little over a 1ft tall, is being fed by his mother but is already developing a taste for grazing in a specially designed pen. He will soon be introduced to the rest of the herd and allowed to gaze in front of visitors to the 750-acre estate which dates back to 1246 and houses 70 acres of historic gardens as well as the National Museum of Gardening. Makes a change from all the depressing stories about elections etc, doesn’t it…? I sincerely wish Melanie Phillips was running this country. She remains one of the few, sane voices left in Britain right now. The Archbishop of Canterbury, Dr Rowan Williams, comes in for a lot of stick — not least from columnists like me. But in the past few days, he has said something important. He has criticised Government ministers for thinking that Christian beliefs are no longer relevant in modern Britain, and for looking at religion as a ‘problem’. Many Government faith initiatives, he observed, assumed that religion was an eccentricity practised by oddballs, foreigners and minorities. This is not just a seasonal exercise in special pleading by a Church leader. Dr Williams has put his finger on what should be a cause of extreme disquiet — the war of attrition being waged against Christian beliefs. Indeed, the Archbishop’s complaint echoed an earlier Church-backed report that accused the Government of merely paying lip service to Christianity while focusing support on Muslims. As Dr Williams observed, one of the effects of the modern hostility to religion is to give the impression that faith is not really very British. But on the contrary, it is part of the national psyche — even among people who don’t go to church. To stop the denigration of religion, the Archbishop has called on government ministers to be more willing to talk about their own faith. But since this is seen as the province of cranks, politicians are reluctant to do so because of the risk of public ridicule. This is because among the intelligentsia, the animosity to religion runs even deeper than the upside-down value system of the multicultural agenda. It springs from the fixed view that reason and religion are in diametrically opposite camps. Anyone who prays to God must therefore be anti-reason, anti- science and antifreedom – in other words, an objectionable, obscurantist nutcase. You don’t have to be a religious believer to be mightily concerned by such a likely consequence. But anxiety over fundamentalism has resulted in rising hostility to all religion. Notably, however, this is not the case in the U.S., which remains overwhelmingly an upfront Christian society. Its politicians are neither ashamed nor embarrassed to call upon God to bless America at every opportunity. Unlike U.S. mainstream Churches which, as descendants from the English Puritans, remain deeply wedded to the Biblical tradition, the Church of England has always looked down on true Scriptural believers as half-wits. With such a half-hearted foundation of religious belief, it has been more vulnerable than other Churches to the secular onslaught against religion. Dr Williams exemplifies this weakness by trying to go with the flow of social change and is for ever apologising for Christianity. Certainly, it did some terrible things in the past to people of other faiths. But it is also responsible for the astonishing achievements of western civilisation. Rather than complaining about politicians, Dr Williams should use his office to teach the nation about the seminal importance of Christianity to this society. But to do that, he has to have faith in his own Church — a faith that too often appears to be lacking. The key point about the U.S. is that it still believes in itself as a nation and in its values, which are rooted in religion. Loyalty to their churches follows from loyalty to the nation in a kind of benign cycle. In Britain, however, religion and nation have formed a vicious cycle in which hostility to the country’s identity and values reflects and feeds into hostility to the religion upon which they are based. The Archbishop’s anguish at the onslaught upon Christian faith is very real. But unless he starts promoting the Church as the transcendental custodian of a civilisation rather than the Guardian newspaper at prayer, the society to which it gave rise will continue to sleepwalk off the edge of a religious and cultural cliff. I’m not sure this is even news – given that most of us are painfully aware of the BBC bias towards leftist lunacy. A senior BBC executive is being accused of political bias after calling for the corporation to promote ‘left of centre’ thinking. 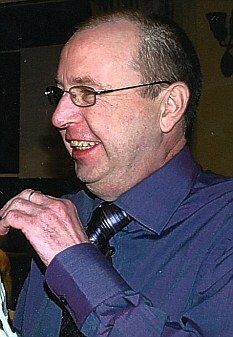 Ben Stephenson, controller of drama commissioning, made the comment on a blog for a left-wing newspaper. Sure. Oh my G-d – what was that big pink creature that just went diving past my window??? It was a kosher pig. And Stephenson’s pitiful wriggling is fooling nobody. Shadow Culture Secretary Jeremy Hunt has stated that the comments were a ‘clear breach’ of the BBC’s impartiality obligations. The BBC being impartial? Can anyone remember when this last happened…?